Johannes Gutenberg is widely credited with making books easier to produce and thus changing society by making ideas easier to share, but as you will learn from the following videos Gutenberg merely industrialized one part of the complex and intricate process of making a book. Over the past few months the good folks over at How to Make Everything have posted a series of videos that show how you can use modern tech to make each of the historical parts of a book. 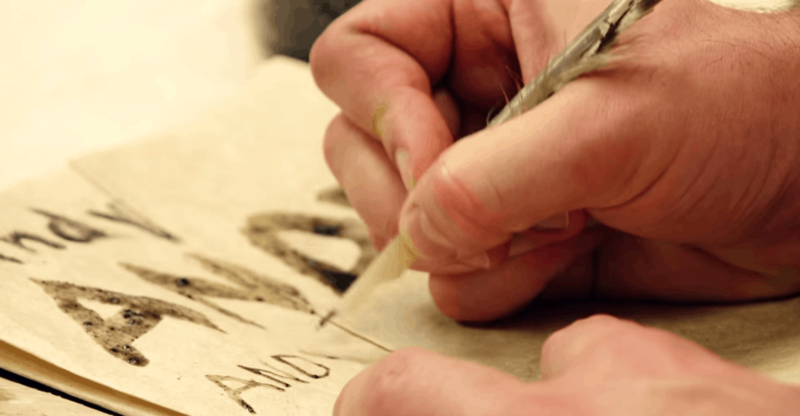 Starting with pounding papyrus into a sheet, the videos show us how to make paper, hemp, cotton, and wood pulp; how to make a pencil, brush, quill pen, and ink; how to tan and cut a hide for the cover, and finally how to bind the book. You can watch a montage of the steps involved in the first video (found via Sploid), but you should also watch all the other videos. They'll give you insight into the historical aspects of writing and book making. For example, the selection of writing implements available to scribes drove the development of written language in ways which aren't obvious until you see the implements being made and used. 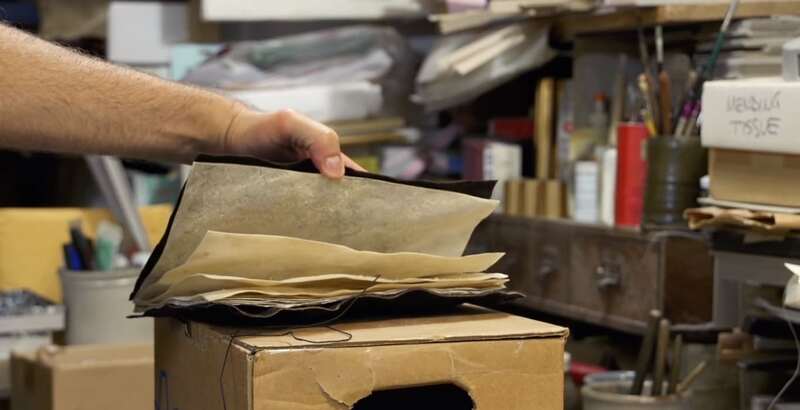 Also, the segments on papermaking helped me understand why we've standardized on wood pulp as the source for paper, and the videos have given me an appreciation for just how much time is saved when a modern book binder/printer uses prepared materials rather than making it all from scratch (industrialization is a wonderful thing).